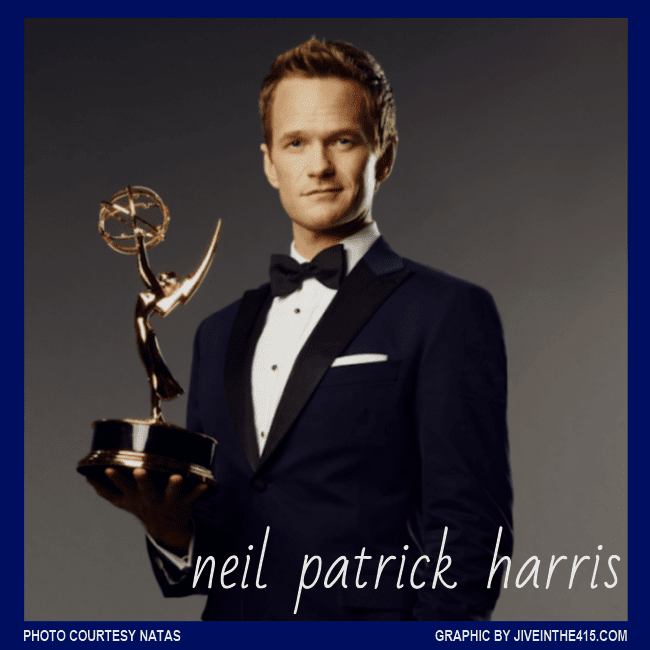 In spite of a slow start to the show, superstar host Neil Patrick Harris and the 65th Primetime Emmy Awards, was fantastic. 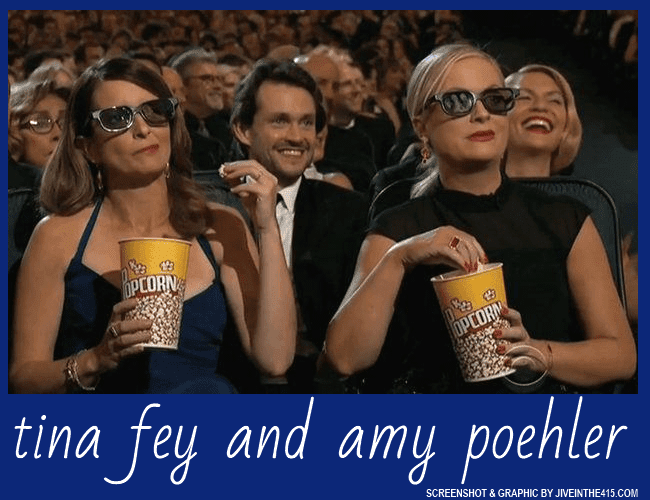 Tina Fey and Amy Poehler’s bit at the end of the intro, was pure comedy gold. Bravo to Stephen Colbert and The Stephen Colbert Show, for winning the Emmy for outstanding variety show. I love, love, love Stephen Colbert and his show is bloody brilliant. I’m a Nurse Jackie fan, and was thrilled that Merritt Wever won the Emmy for outstanding supporting actress in a comedy series, and she gave the funniest and best speech of the night. I love HBO’s Veep too, and was really glad that the brilliant Tony Hale, won for outstanding supporting actor in a comedy series. 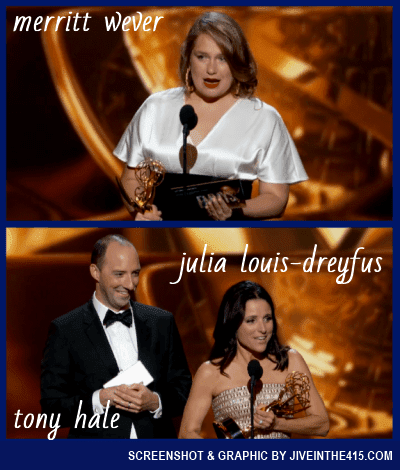 Julia Louis-Dreyfus deservedly won the Emmy for outstanding lead actress in a comedy series for her role on Veep , and her decision to have Tony Hale accompany her onstage for her acceptance speech, was hysterically funny. 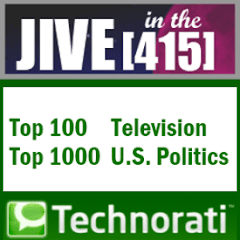 Jim Parson’s performance as Sheldon Cooper on The Big Bang Theory week after week seems effortless, and he’s a great comedic actor. In a very competitive Emmy category, it’s a testament to his immense talent, that he won the Emmy for outstanding lead comedy actor for the third time. 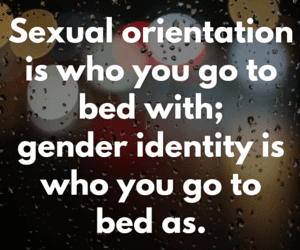 Louie C.K.’s show Louie on the FX network, is one of the most astute and thought provoking comedies on television, and I was disappointed that the fantastic comedy series wasn’t recognized with an Emmy last night. Michael Douglas won the Emmy for outstanding lead actor in a miniseries or movie, for his performance as Liberace in HBO’s Behind The Candelabra. He began his award speech by describing the movie as “a two hander.” Ba dum bum. Yawn. I’m probably in the minority here, but I found his gay double entendre to Matt Damon, about splitting his Emmy in half, and asking “do you want the bottom or the top,” to be trite and offensive. The fabulous ABC comedy Modern Family won the Emmy for outstanding comedy series for the 4th year in a row, and the phenomenal Breaking Bad, won the Emmy for outstanding drama series.